Teaching Activity. By Moé Yonamine. 18 pages. Poetry, photography, and text are used in this role play to teach about the seldom told history of Japanese Latin American internment during WWII. 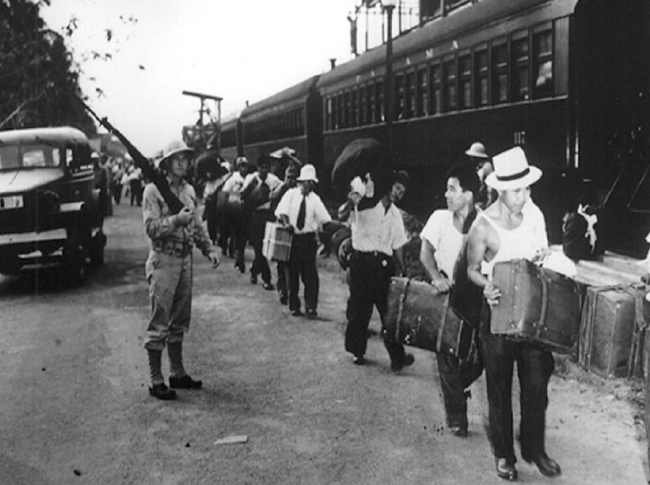 Japanese Peruvians en route to U.S. internment camps, 1942. Source: National Archives. My unit on the largely unknown history of the internment of Japanese Latin Americans began 12 years ago. I was on a bus from Portland, Ore., to Tule Lake, Calif., site of one of the largest Japanese American incarceration camps during World War II. “I am from Japan,” the elder sitting next to me said in Japanese. “But I am originally from Peru.” For me, it was an honorable coincidence to find myself next to this elder. An elder sitting in front of us turned around and said in English, “He looks very familiar.” As I translated their conversation, it came out that they were both young boys interned at Tule Lake. “I know him!” said the Japanese American elder. “He was my friend!” Grabbing the Peruvian man’s hand and shaking it firmly, he explained that they played baseball together often but that one day his friend just disappeared. His friend had only spoken Spanish, so he could never ask him what he was doing in the camp. He had wondered all of these years what had happened to him. The Peruvian Japanese elder’s face beamed with joy as the two continued to shake hands, not letting go. “I am so glad you are safe,” he said. They had reunited after more than 50 years. This lesson was published in the Fall 2010 issue of Rethinking Schools magazine, “Fighting For Our Schools.” For more articles and lessons like “The Other Internment: Teaching the Hidden Story of Japanese Latin Americans During WWII,” order Rethinking Schools magazine “Fighting For Our Schools.” See Table of Contents. 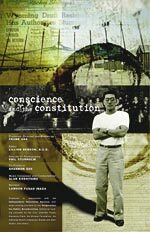 Related Resources on Asian American history. Teaching Activity. By Moé Yonamine. 11 pages. 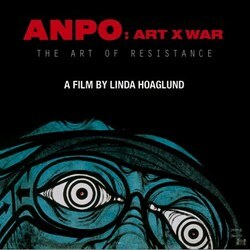 Lesson based on ANPO: Art X War, a documentary about visual resistance to U.S. military bases in Japan by Japan’s foremost contemporary artists. Teaching Guide. Edited by Edith Wen-Chu Chen and Glenn Omatsu. 2006. 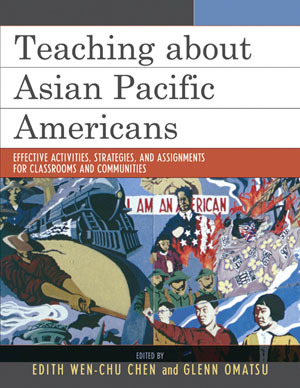 Comprehensive collection of articles and lessons on Asian Pacific American history. Film. By Frank Abe. 2000. 57 minutes. 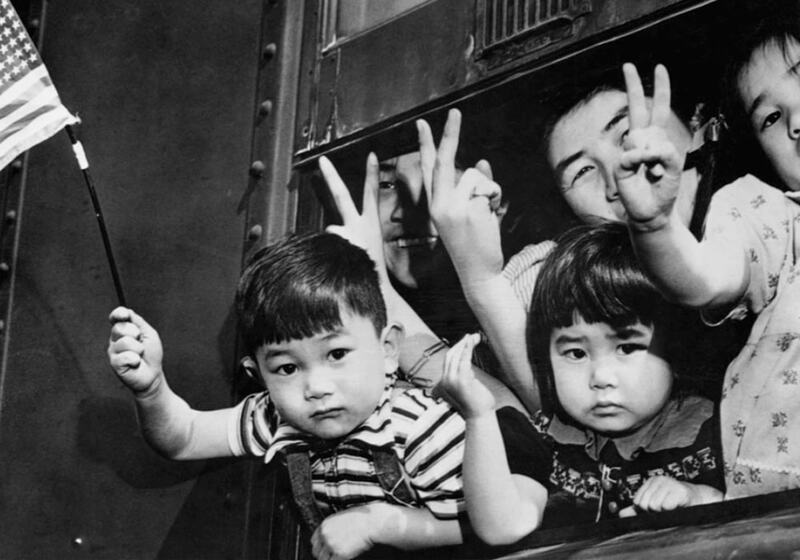 In World War II, 63 Japanese Americans refused to be drafted from a U.S. concentration camp. 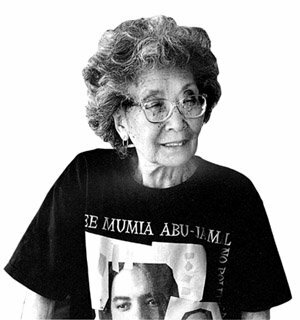 Dramatic reading of Yuri Kochiyama’s “Then Came the War” (1991) by Deepa Fernandes. Archive of firsthand accounts and primary sources of the internment of Japanese Americans during WWII. I wonder if my mother’s family was sent to the concentration camp and my mother had changed her last name for protection. I was born in 1949. I discovered that my DNA is 49% Japanese. They were living in Bellavista Callao Peru. Thank you very much.